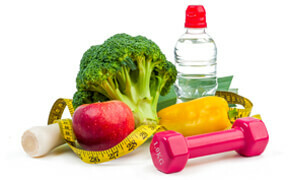 You are always told to eat healthy nutritious foods so that you become fit, healthy and strong. But did you know that eating healthy does not only make you remain fit and healthy, but it helps nourish your hair and skin as well? As you know, proper nourishment is crucial to hair growth and thickness, and hence the foods you eat may directly affect the growth and thickness of your hair. If you are concerned about hair growth and thickness, and you are wondering about which foods to include in your diet to grow long and healthy hair fast and easily, then here’s the post worth checking. Today I am sharing the list of 14 best foods that can help magically in hair growth and thickness. Eating these foods will help you magically to grow long and healthy hair quickly. Having long, voluminous and good quality hair enhances the way you look and it definitely is a big aspect of individual’s beauty. But, sadly due various issues starting from pollution to bad lifestyle habits to lack of proper hair care routine etc., most of us today experience a lot of hair fall. However, out of all the other factors, poor diet is an important cause of hair thinning and hair fall that stands out. This is because if your body does not have sufficient supply of nutrients that your hair requires, then the health of hair is bound to decline resulting in more hair loss and less growth of hair. So, in order to prevent it, you need to eat the right kind of foods that will help in having healthy hair. So it is equally important to follow a proper hair care routine and implement the essential hair care tips needed to maintain your hair and then you have to eat nutritious foods that will contribute to healthy hair growth. And if you are wondering about the best healthy and nutritious foods that can help grow long and thick hair, then continue reading this post, as that is what we are going to discuss today. Eating healthy in general is great and now that you know eating healthy is equally beneficial for proper hair growth, the importance simply manifolds. So, without further delay, let us see the list of best foods for hair growth and thickness. The kind of foods you eat has a direct influence on how your look or how strong your immune system is. So it is seriously important to eat healthy and nutritious foods. And, if you are specifically suffering from hair loss or unhealthy hair, then there is a special set of foods that you must add in your diet for fast hair growth and thickness. 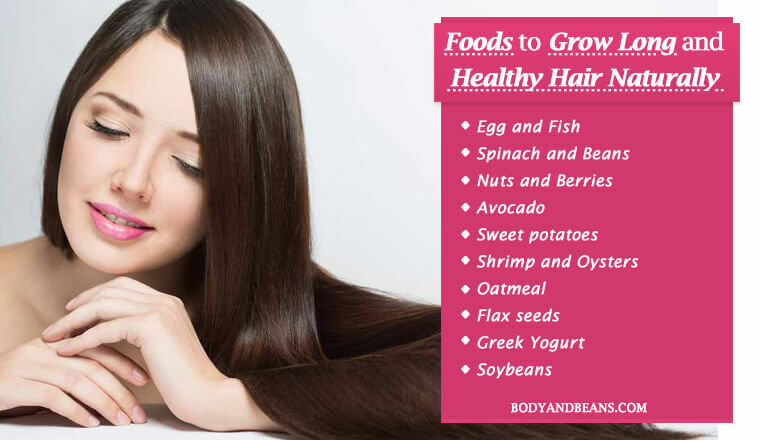 Listed below are the top 14 foods that aids in hair growth and thickness and if you eat these foods, you should be able to grow long, thick and healthy quickly. Eggs are a favorite of many and if you are someone who is seriously looking to grow thick and long hair, then eating eggs is the ideal option for you. There are several reasons behind the effectiveness of eggs in hair growth. The first reason is the richness of protein in egg which helps in growing long and healthy hair. Studies have shown that having a diet that lacks protein can lead to hair loss and so when you include an ingredient like egg which is rich in protein, it will definitely help you in growing and strengthening your locks. The other reason why eggs are healthy for your hair is because of the presence of biotin in them which to a large extent contributes (although further studies are required on this) in hair growth and in making your hair strong and healthy. In addition to these, eggs are also rich in selenium, zinc and other healthy nutrients that also aid in growing healthy and strong hair and so eggs are undoubtedly one of the best foods for growing long healthy hair. Whenever we talk of healthy foods, we definitely cannot miss out spinach from the list because it is like an all-rounder foods that promotes good health in general, and that definitely includes contributing to healthy hair growth as well. The simple reason behind it is that spinach is a powerhouse of nutrients, many of which present are excellent for your hair health. The first nutrient present in spinach which is good for your frizzy and dry hair is Vitamin A. It is a known fact that Vitamin A helps in sebum production which in turn, helps in moisturizing and nourishing of your hair. The next nutrient present in spinach is iron, deficiency of which has been proven to cause hair loss. This is due to the fact that iron helps the red blood cells to carry oxygen to every part of your body which in turn, helps in quick hair growth and repair. Spinach is also rich in folate and Vitamin C that are also helpful in promoting healthy locks. If you are looking to grow your hair long and make it strong, you should include juicy berries in your diet. The primary reason is the presence of several antioxidants in berries that help in making your hair grow strong and healthy. Antioxidants protect your hair from getting damaged from the harmful molecules called free radicals that are naturally present inside our system and in our environment. So, since the antioxidants are so important for your hair, eat more and more berries for they contain antioxidants in abundance. Also, berries contain high amounts of Vitamin C that helps in production of collagen which is nothing but a protein that helps in strengthening of the hair and in prevention of easy hair breakage. However, the importance of Vitamin C does not stop there. This is because Vitamin C also aids in proper absorption of iron by body which indirectly benefits in stimulating hair promoting effects as deficiency of iron leads to hair loss. Avocado is extremely good for healthy hair growth and hence you should definitely include it in your diet for maximum hair benefits. They are rich in Vitamin E which is an antioxidant, extremely effective in protecting your hair by fighting the free radicals and preventing oxidative stress. In fact, studies are already a proof of how tocotrienols which belongs to the Vitamin E family have helped in effective hair growth. So there is no point doubting the potential of Vitamin E in hair health. In addition, Vitamin E also protects the skin on your scalp from oxidative stress and damage, which if left untreated would have led to bad quality of hair and fewer hair follicles. Besides Vitamin E, avocados also contain several healthy fats, deficiency of which, in many cases lead to several hair issues. If you are a fish lover then include a greater number of fatty fishes like salmon and mackerel in your diet because fatty fishes are one of the best foods for growing long healthy hair. The reason behind their effectiveness is the richness of omega 3 fatty acids in them that are extremely important for hair growth and thickness, and several studies have already proved it. In one such study, it was shown that women who took supplements of omega 3 fatty acids and omega 6 fatty acids along with antioxidants experienced significant improvement in hair loss and hair density. In another experiment, it resulted that taking a fish oil supplement helped in reducing hair loss and promoting growth of hair in women who were suffering from thinning hair. However, apart from omega 3 fatty acids, the fatty fishes also contain selenium, protein, Vitamin B and D3 that also benefit in making your hair healthy and strong. So, include these fatty fish in your day to day diet to grow your hair long and healthy. Sweets potatoes are one of the most recommended foods for growing long healthy hair and there is enough reason for that. The main reason being the presence of beta carotene, which is converted by body into Vitamin A, which in turn is great for your hair. Vitamin A helps in production of sebum that keeps your hair healthy and nourished and helps you get rid of your dry hair issues. Also, it has got the ability to accelerate the speed of hair growth and lead to thicker and healthier hair follicles, all while preventing the other hair follicles from breaking. Make the healthy nuts a part of your diet, if you are determined to have long and healthy hair. This is because the nuts contain Vitamin B, zinc, and several fatty acids, all of which are extremely beneficial for having healthy hair. Deficiency of these nutrients has already been proven to cause hair loss, so ignoring the importance of the nuts can become a great risk for you. Moreover, you can never ignore the fact that besides providing us with hair benefits, the nuts are great in reducing inflammation and in preventing cardiovascular diseases. So, having them as a part of your diet is mandatory. Soybeans are a huge hit among the vegetarians all over the world thanks to the various health benefits it has on mankind. But, do you know that soybeans are equally great for your hair? Well, yes, soybeans contain compounds like spermidine that are great for your hair. In one of the studies, it was shown that a spermidine based nutritional supplement was able to prolong the phase of active hair growth which is known as the anagen phase. This is great because the more time the hair follicle remains in the anagen phase, the longer it will grow. Several test tube studies have also concluded that spermidine leads to promotion of healthy hair growth.However, the studies of spermidine and hair growth are quite new, so it is best if more studies are performed on it to further strengthen the point. Shrimp is a popular shellfish rich in several nutrients which are very beneficial in promoting hair growth and so inclusion of shrimp in your diet is a great option that you may consider. The main nutrients that are there in shrimp are Vitamin B, protein, zinc and Vitamin D.
Studies have shown that deficiency of Vitamin D3 can lead to hair loss and so if you are suffering from it, then it is all the more necessary for you to eat shrimps as a part of your diet. However, shrimp is also loaded with omega 3 fatty acids that further contribute in making your hair strong and healthy and so I see no point in ignoring the importance of shrimp as far as growing long and healthy hair is concerned. It is advisable that you eat adequate amount of beans as a part of your diet if you are interested in having long and healthy hair. The main reason behind it is the richness of zinc in beans which have already been proven to promote the growth of hair, repair the cycle and prevent the hair loss. Beans are also a great source of protein which equally contributes to healthy hair growth. The other nutrients that beans are loaded with are iron, biotin and folate, all of which are great in promoting the growth of hair. Therefore, beans can rightly be considered as one of the best foods for growing long healthy hair. Many a times the balding in males and the excessive loss of hair in females is due to the insulin resistance and if that is your case, then eating oatmeal is probably the best option for you. This is because oats are rich in beta-glucans which is a type of soluble fiber which in turn, helps in improving the insulin sensitivity of your body to a great extent and studies are a proof to that. Oysters can be a great option for you when it comes to growing long healthy hair. This is because it is loaded with zinc which has already been proven to be helpful in promoting hair growth and in repairing the cycle. Several other studies have also shown that if you are taking zinc supplements, then you will be able to reduce hair loss. However, despite the fact that zinc supplements are useful, you must remember that too much of zinc in system may also be a cause of hair loss, therefore it is important that you balance the level of zinc in your body. And, for that it is advisable that you eat foods like oysters which are rich in zinc as it will supply your body with zinc in small but healthy doses which will boost hair growth and thickness. Seeds contain lot of nutrients extremely beneficial for hair growth and they are also low in calories. So I feel that they deserve a mention in the list of best foods to grow long healthy hair. Most of the seeds are rich in Vitamin E, selenium and zinc, all of which are great for your hair. And, as far as the specific seeds goes, sunflower seeds are rich in Vitamin B which also benefits in hair growth. On the other hand, flaxseeds are loaded with omega 3 fatty acid that also contributes a lot in hair growth. Therefore, to be specific, if your diet includes a variety of seeds, then your body will get a variety of hair healthy nutrients and you will definitely see the improvements in the quality of your hair within few days. If your thyroid gland is not working properly and you are experiencing too much of hair loss, then there is enough possibility that your body may be lacking in levels of selenium and iodine. These two minerals help a lot in proper functioning of thyroid gland. Also, the deficiency of these two minerals may result in hair loss, so you cannot ignore the fact that you may be low in selenium and iodine. And, if by chance, it is your case, then the best solution for you is to include Greek yogurt in your diet and stabilize the levels of selenium and iodine in your system. Just 1 cup of plain low-fat Greek yogurt contains around half of your daily iodine requirement and around 34 percent of daily selenium requirements. So you can definitely consider making it a part of your diet. Moreover, it is tasty and that will act as an added advantage. Which is your favorite food to grow long and healthy hair? Hair is one of the most important aspects of an individual’s exterior beauty. Who does not want to enjoy those beautiful long locks? I mean all of us do, but you must take efforts in order to maintain it. Otherwise, the beauty and the volume of your hair will be gone in no time. When you eat all the healthy foods, the nutrients are transferred to all parts of your body including your hair, and that is what helps in hair growth and you become healthy and beautiful from head to toe. Now, given the number of hair complications we are facing in modern times thanks to the pollution, unhealthy lifestyle, diseases etc, we need to take good care of our hair. If you want your hair to be voluminous and healthy, you have to pay attention to the lifestyle and what you are eating. So, besides maintaining a proper hair care routine, it is equally important that you take note of the best foods worth eating for natural hair growth and thickness. I have already mentioned about 14 of the best foods for growing long healthy hair and trust me; all of them are really effective. Many of them have already been proven by science to be very capable in promoting hair growth, so I find no reason why the potential of the above-mentioned food items will be underestimated. Moreover, when you eat healthy and your body has a variety of healthy nutrients, then it not just helps in hair growth, but also improves the texture of the hair a lot. The nutrients fight the radicals and give protection to your hair and you need to take full advantage of that. All you need to do is to carefully note down the list of best foods for growing long healthy hair that I mentioned and make a proper diet chart which will include all of these items. Make sure that the diet is balanced so that your body gets the right nutrients in the right amounts because excess and deficiency of any nutrient, both of which can have negative impacts on your hair. So, be smart and be careful. So, if you are facing a lot of hair issues lately, then make be you should take note of what you are eating. Most of the hair problems start with following unhealthy diet. And if it really is your case, then take reference from the list of food we have discussed above and include these foods in your day-to-day diet. I am quite confident that you will be able to grow long and healthy hair, if you are able to set up a proper diet plan for yourself. However, I will be waiting for your feedbacks and suggestions, so do write me back by commenting below. And if you are already eating some of these foods then I would like to know about your favorite foods to grow long and healthy hair. Which one is your favorite food for continuous hair growth and thickness? Until then, stay healthy and do not forget to flaunt those.